Respectful family, lovers of animals and nature. Hello everyone. We are a Spanish family living in Malahide (Ireland) since July / 17. We came here with our two little girls and our three cats (our dog died just before coming to Ireland). My husband is an engineer and I am a sociologist. We love animals and I've had dogs and cats all my life. Our pets have always been animals rescued from the street and they are a fundamental part of our family. Each of them has a very different personality. We are really involved and committed to the situation of animals and the environment around the world and that is why we are sponsors of different organizations. As a family that is living outside of your country, we have experienced the worry of not knowing what to do with our cats when we have had to travel. We know well that for pets it is very stressful to leave their home, and we would not want to leave ours in kennels. This website seems wonderful because it allows us to help pet owners so they can travel with the peace of mind that their beloved animals will receive the care and affection they deserve while they are away. For us, it means enjoying the best of two worlds: the company of animals and the possibility of knowing other places. We share the company of three special cats. All of them were rescued from the street. Our dog was also rescued from the street during a vacation to Bogotá (Colombia). Unfortunately, she died in February 2016 (she accompanied us for 9 years). 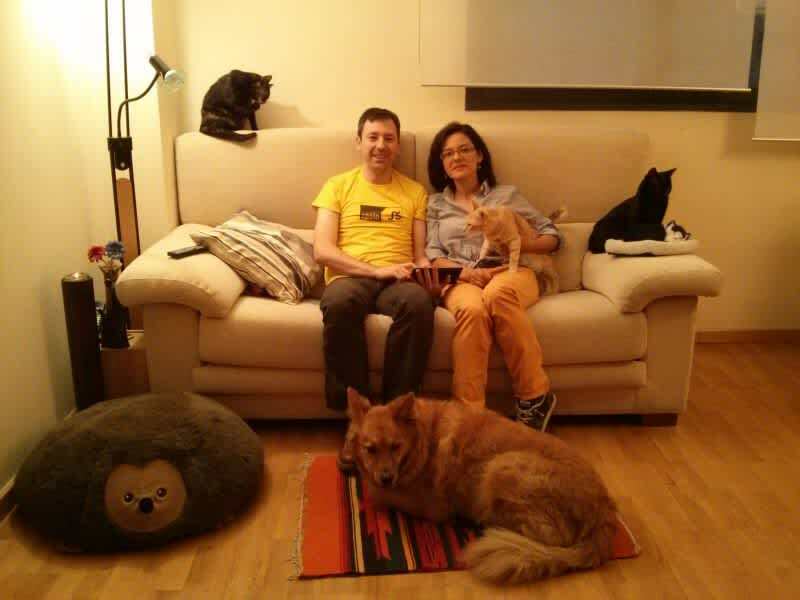 In Spain we have had house sitting experience although it has always been taking care of the houses and pets of our relatives. Although we do not currently have a dog, in our house we constantly enjoy the company of them. 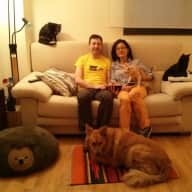 Thanks to my profile as dogwalker, dogsitter and catsitter in two well-known websites, we continue to enjoy the joy that animals transmit to us. I have excellent reviews in my profile (I will send this information by private since I can not publish the address of these websites here). I've had pets all my life. The contact with the animals gives me a lot of joy and that same respect and consideration towards them is what we are transmitting to our daughters. When Elvira and her lovely young family arrived we gave them an explanation of what was where. As we have dogs, a cat, hens and cows there was quite a bit to take in, but that was no problem. 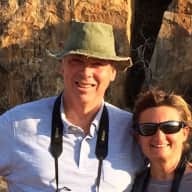 When we got back from our holiday it was unfortunate Elvira had left just a couple of hours before we got back as I would Have liked to have thanked them personally for doing such a brilliant job of our housesitting. The house was spotless everything cleaned and put away, all the dogs and cat looked in better condition than we left them, and the cows were very content in the field. 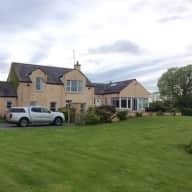 I hope their short stay gave Elviras lovely young family an opportunity to appreciate and enjoy a quiet and very rural location. They did a marvellous job and we could not recommend them highly enough. Thank you again Elvira and I do hope you enjoyed our small corner of Ireland. Hopefully we will meet again. Elvira looks after our golden retriever when we are away to work 3 to 5 days a week. She is very reliable and trustworthy. She always gives us picture updates of how our dog is getting on and what he is up to which is great. She will treat your pet like her own. She take care of my cats and I've never had any problems with anything.I recommend her totally.